I was invited by Chris Gaskin (Forest & Bird) and Matt Rayner (Auckland University) to join a party in February 2013 on the Mokohinau Islands to hunt for the nesting grounds of the recently rediscovered New Zealand storm petrel (Fregetta maoriana). This island group lies more than 50 km to the east of Whangarei and 21 km northwest of Great Barrier Island. The storm petrels that we were hunting are tiny (35 g) tube-nosed seabirds that spend most of their lives at sea, coming ashore only to nest. Twenty-four storm petrels had been caught at sea and fitted with transmitters shortly before my visit, so one of our main plans was to use handheld telemetry receivers to try and detect where the birds were going. However by the time of my arrival another team on Little Barrier Island Hauturu had already determined that several of the birds were visiting that island so our focus became other projects on the Mokohinaus. From 12-19 February our team was based on Burgess Island. It is the most accessible of the Mokohinau Islands, requiring no landing permits but needing permits for over-night stays (it is a scenic reserve). 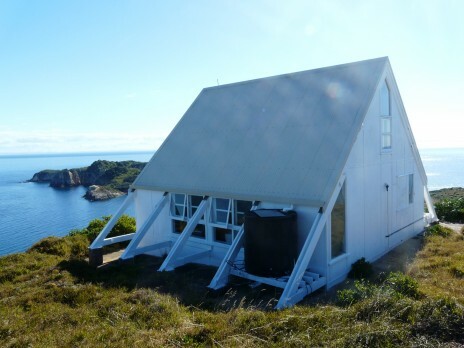 It is also the only one to have permanent accommodation, in the form of an old lighthouse keepers’ building. The light was built in 1883 and fully automated in 1980. Burgess Island used to have Pacific rats (Rattus exulans) present but these were eradicated in 1990 and the island has been left to recover naturally since then (that is, largely without human help). 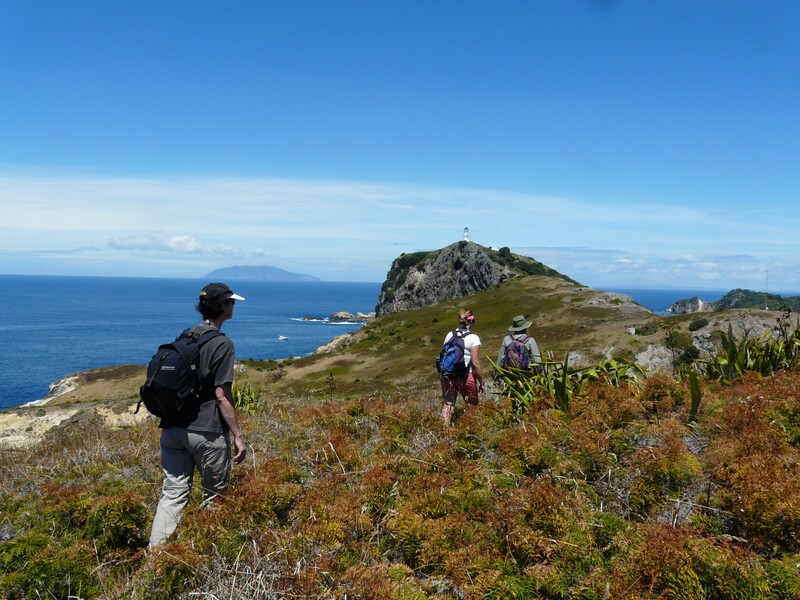 We focused on assessing the current status of petrels on the island but also completed surveying some vegetation plots established by researchers in previous years. This was hot work in 30˚C temperatures without shade but it provided a good incentive to go snorkelling. Unlike the much better known Poor Knights group, just to the north, the waters around the Mokohinaus are not a marine reserve, however the underwater life was still spectacular in the crystal clear water. 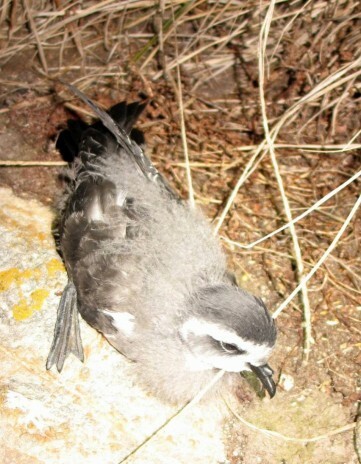 Many of the petrel species known to nest on the island, including grey-faced petrels (Pterodroma macroptera), North Island little shearwaters (Puffinus assimilis haurakiensis) and northern diving petrels (Pelecanoides u. urinatrix), were in their non-breeding seasons, so absent from the island during our visit. Fluttering shearwaters (Puffinus gavia) had finished breeding but we heard several flying around the coast at night. A few sooty shearwaters (Puffinus griseus) had been reported but we found none ashore. The two species that were breeding were the New Zealand white-faced storm petrel (Pelagodroma marina maoriana) and the black-winged petrel (Pterodroma nigripennis). At 45 g, white-faced storm petrels are a little larger than New Zealand storm petrels and much browner above. A night of catching storm petrels quickly established that the species has a drawn-out breeding season on Burgess Island with chicks ranging from being small and downy to ready to fledge. Black-winged petrels are a numerous but very poorly known bird because most of their nesting sites are hard to get to, being mainly at the subtropical Kermadec Islands. Although the species had been recorded from Burgess Island for many years, only recently were a few pairs found nesting. This relatively accessible colony has allowed some on-going research on the species. Graeme Taylor (Department of Conservation) is leading a team tracking the movements these birds using geologgers attached to their legs (see images in Night Life on the Poor Knights Islands) and one of our jobs was to try and recover these devices so that the data could be downloaded (however we didn’t find any geologgers!). We were however able to gather more information on the species’ breeding cycle and colony size. It was the end of the incubation period and the tiny colony was showing no signs of on-going expansion. At the time of the rat eradication in 1990, the only petrel species reported to nest on Burgess Island were grey-faced petrels and common diving petrels, so it seems that the eradication has had dramatic effects and allowed several new petrel populations to establish. Certainly the number of lizards was very high, with the day active moco skink (Oligosoma moco) often seen basking, while at night the local undescribed gecko (Dactylocnemis sp.) was abundant, as was Suter’s skink (Oligosoma suteri) – New Zealand’s only egg-laying lizard – on the shoreline. 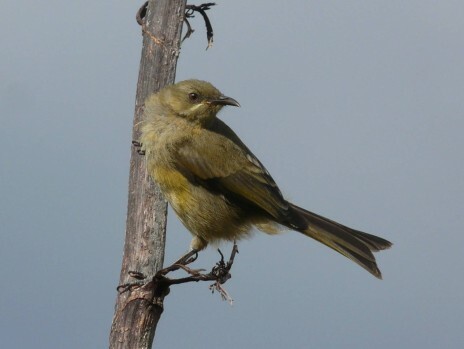 By day bellbirds (Anthornis melanura) and red-crowned parakeets (Cyanoramphus n. novaezelandiae) were seen at densities rarely found on the mainland. It will be fascinating to see how Burgess Island continues to recover. Thanks for your comments Ann – it seems that we’ve now found quite a few people that once lived out at the Mokohinaus. I’d be interested to hear more about what happened to you at Bollons Rock. Also I’ll email you for the information on the red-billed gulls because we are very interested in their changing fortunes on Burgess Island. I lived with my parents on Moko for 4 months while awaiting an opersation on my knee and the bird life was quite abundant. 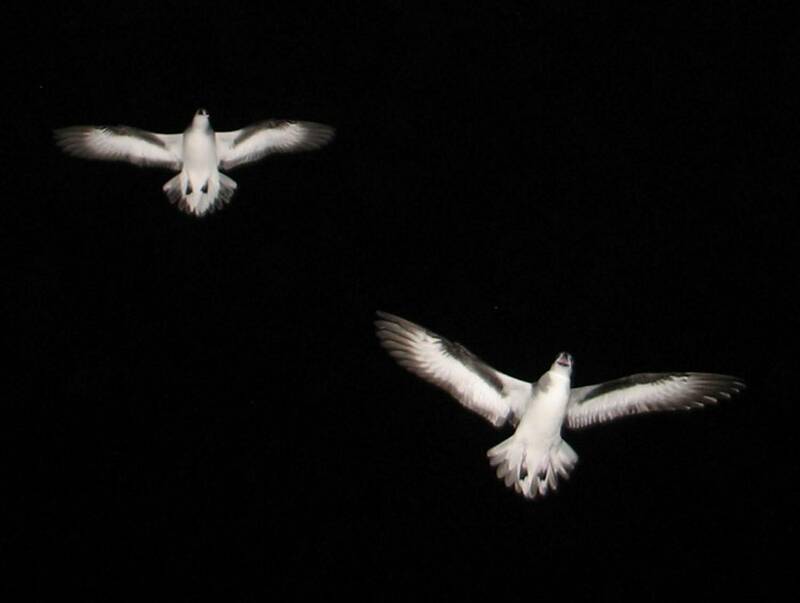 We interacted more with the red billed gulls that were present in a colony at that time. It was later destroyed completely by one of the keepers just before he left as he had always hated them. We had numerous kaka parrots around . The tuis and bellbirds were there when the flax was in full flower. 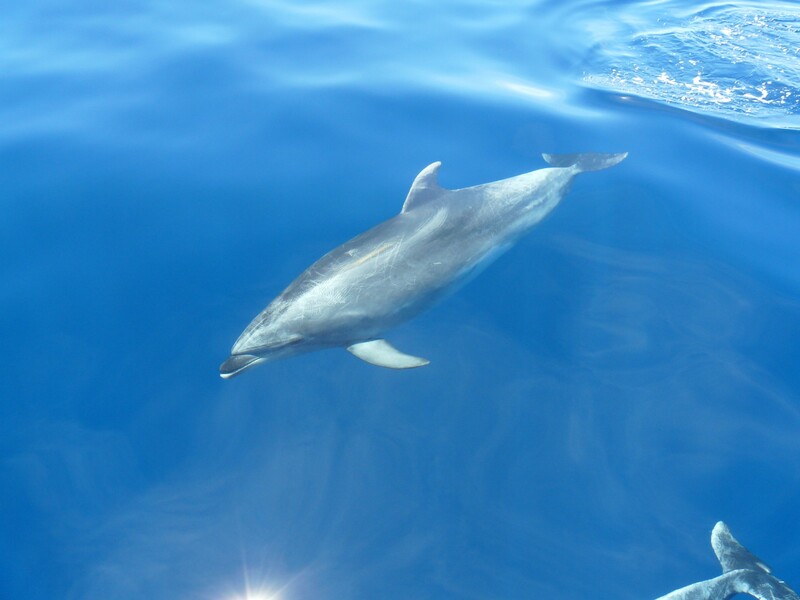 Mum used to whistle up the dolphins when they were in the bay. It was a fascinating place to live in. Good luck with your research. Mum and Dad (Val and Ron Allen) were also part of Project Jonah and let them know the whales etc that they saw. That’s very interesting Ronwyn. The red-billed gull colony there is almost non-existent these these days but this follows declines at other major colonies such as at the Three Kings Islands. It’s interesting that part of this cause on Burgess Island may be due to someone deliberately destroying the nests. The Ornithological Society of NZ is currently conducting surveys to see if the entire population of this species has declined or if the birds have just moved about, so we might have some answers soon. Interesting, I was born on this Island (1968) we gathered these mutton birds as part of our diet. You won’t remember me but I lived in the house next door at Moko. My mother helped deliver you! I can recall your Mum taking us kids on walks around the island pointing out the edible plants etc. That’s really interesting. I’ve never been in touch with anyone born on the island before. I don’t know how long you spent there but it would have been a fascinating place to grow up. I’ll put you in touch with some of my fellow researchers who still visit the island regularly (I have not yet had a chance to return) as I’m sure you have some interesting stories.